A video demonstrating the palmar grasp reflex in newborns. Arguably the most adorable and sweetest reflex of all is that of the palmar grasp. 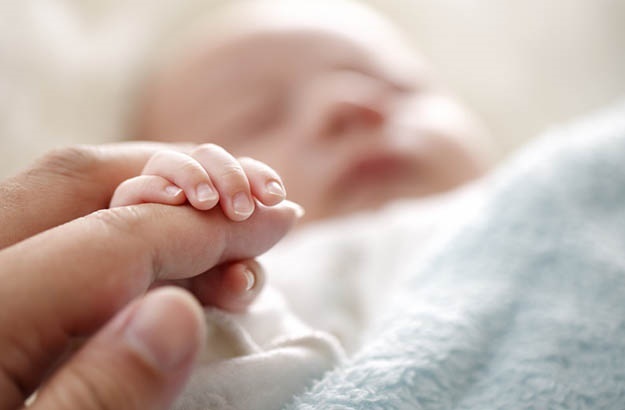 It’s the moment your little one instinctively wraps their tiny little fingers around yours. Watch the video below for a demonstration. To trigger the response, gently place your finger in the palm of baby's hand and they’ll close it around your finger, and if you stroke the outside of their hand, they'll release it again. This can also be used to open the hand initially. This reflex will kick in from when they’re just born and you’ll often see their hand clenched in a fist when you aren’t triggering the reflex yourself. The palmar grasp will continue for about 4 to 6 months, after which they’ll start honing in the skill of reaching for, grasping and picking up objects. To encourage this skill place a toy in front of your little one – not too close but within reach – and cheer them on as they attempt to grab it. Share your experience with your babies and their new reflexes by emailing chatback@parent24.com.